Technology and Financial sector have grown manifolds over the years. History witnessed the successes and failures of many Business Models created by clever Entrepreneurs to keep their Businesses alive. These would later be copied by several competitors resulting in a normal phenomenon. 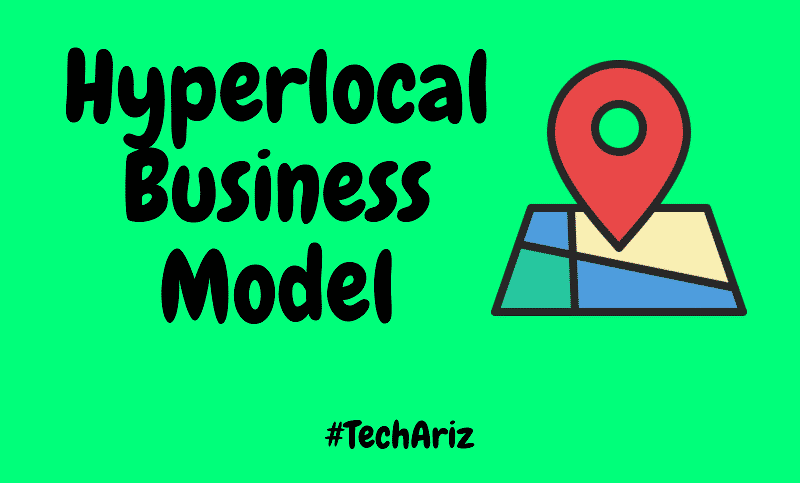 One such Model is called The Hyperlocal Business Model. The Best way to explain Hyperlocal Business is the creation of a digital platform. A Platform which can enable local offline Business Holders to provide their products or services to markets where the Business platform is available. With most countries being connected to each other via the Internet, it makes possible for local Businesses to provide their services to the International customers. The Basic rule for such a Business Model is that the desired products/services should be acquired locally. This can be from the offline stores/service providers and delivered to consumers within a short span of time. Firms like Flipkart and Amazon also have a feedback section which clients can refer to figure out which provider is the best. The use case of a Hyperlocal Business Model could be for the purpose of maintaining costs while Brand Building. For Instance, Flipkart when started out used to sell only Books which they acquired from publishers. Later, it shifted to a marketplace model connecting local sellers to the public. The company kept a certain inventory level under its direct acquisition. This diversification helped them survive and counter the negative perception many people have towards buying from websites. They were able to earn a certain commission from sellers who use their website to sell their products to the public without spending single money. The only problem? Rising operational costs and fewer partners signed up to the programme which can earn them enough commission to control the costs. The benefit of a Hyperlocal ecosystem is that you get local services as per your requirement from a single point of source. This is from the customer’s point of view. From the Businessman’s view, he is getting access to potential markets at possible low costs compared to what he would have done at his own expense. Online providers include the very famous Flipkart and Amazon which connect local sellers to different parts of the world at a payment of a commission from periodic sales made by Businessmen who are part of their program. The Businessmen in return get new markets for customer acquisition (Just imagine you selling your stuff to people in Africa while sitting at home). From the organizers’ point of view, they get an opportunity to earn revenue from a different avenue. Offline delivery providers include Zomato, Swiggy, Ola etc. who connect customers to their desired restaurants or service centers. Taxi Aggregators like Ola would also be considered a part of this category. Taxi Aggregators connect customers to local Taxi Businessmen who provide Transport facility to them. Now there have been certain successes and failures in this arena as well. Despite some recent negative reviews, Bengaluru based food delivery provider Swiggy has been able to rake in the revenues and has been the No.1 customer’s choice for delivering their choice of food at their choice of location. At the basic level, Swiggy’s Business model involves connecting customers to their partner restaurants in different parts of the country. Once an order has been placed, Swiggy’s delivery boys will deliver the order at the customer’s doorstep. Swiggy in return receives a commission as per agreement set up with their partner restaurants through which they provide customers schemes and discounts on their orders. Businesses are connected to huge market as Customers care about the delivery brand and not worry about the restaurant the order is coming from (in most cases). Swiggy recently became a million dollar Business venture and is considered to be the only survivor from the 2010 batch when many Food delivery startups started emerging. As I write this report, Uber is also considering selling its Food Delivery Business codenamed Uber EATS as it failed to break into Indian markets held by Swiggy. Another success story is BigBasket which has penetrated 150 cities from 25 during their starting phase. This startup provides grocery deliverables to its customers at their doorstep through their delivery network. The model used by BigBasket is a straight one with all product procurement being done by the company from Businessmen/companies and sold to consumers. The company recently earned a 34% increase in its revenue and hopes to expand to global markets soon. In order to increase the customer base, they kept on providing discount schemes at a level which drained their funds and affected profitability. Faced issues in recruitment for their Logistics team for the sole purpose of maintaining their guaranteed 2-hour delivery. The 2nd such surprising failure after Uber EATS was OLA Café which was launched in 2015 as an experiment. The Company started well before facing competition from champs like Zomato, Swiggy in the market. The Logistics charges didn’t proportion to the average order value forcing company higher-ups to decide on focusing the Cab Business and providing services to its clients like Taxi-sharing, carpooling etc. Overall, there can be many reasons for the failure of startups in implementing this model. But to explain them in simple words, I would use a lack of clarity and integration. You know what? “Consumer is the King”. When you start a Business, you should first understand your consumer needs. Next, you need to understand how to change the perception of the people at large so as to be able to attract them to your brand. Next, one needs to understand how to satisfy target customers needs while staying relevant with current times. The above are areas where one needs to be aware of so as to be able to devise operational and financial plans for running the Business. Flipkart was quick to understand this keeping India in mind and decided to go for the marketplace model to keep their brand alive in the long run. Amazon moved to the marketplace model which helped them set up bases in different parts of the world. Coming to product integration. OLA did the right thing not to continue with their food delivery Business as they were facing issues on the Financial side. The company is yet to make a significant profit. They are yet to set up camps in many well-known cities across the country. Currently, it’s active at a good level in Tier 1 metros (Delhi, Mumbai, Chennai, and Kolkata) and Tier 2 cities and needs to break in Tier 3 cities so as to be able to earn sufficient revenue in the long run. Starting a Food Delivery business at this stage would have been suicidal as it requires a huge investment. Even Uber is considering selling its food delivery Business. Pick what you need to deliver: Food, Service or Books? Partner with local merchants or Home Delivery providers. Set Target sales so as to earn sufficient revenue for long term expansion strategies. On an overall social front, Hyperlocal Business Model has a great benefit. As MSD states in a famous Ad to a person complaining of low Business, ”Go Online”. Such a model has the power to connect local Businesses who are not tech literate or established to the larger public. It’s quite beneficial to people who constantly change cities as they can get their requirements in one place. Like everything else on our planet, such a model has its own set of implementation challenges in Operational, Marketing or Financial sides. But creativity, hard work, and a little bit foresight can help solve problems.